As winter drags on, so does the need for soft & snuggly neckwear. We've noticed that many of our fans have recently used our undyed yarns to create gorgeous shawls, scarves, and cowls to keep winter's chill at bay. 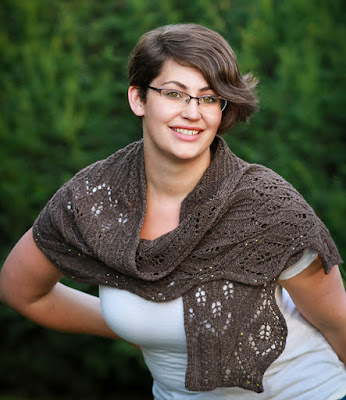 Here are a few of our favorite patterns and projects spotted recently on Ravelry to inspire your next project! Raveler PurpleDogwood crocheted this lovely scarf using 2 skeins of Lhasa Wilderness in Natural Cream. Sometimes a simple stitch is all you need! 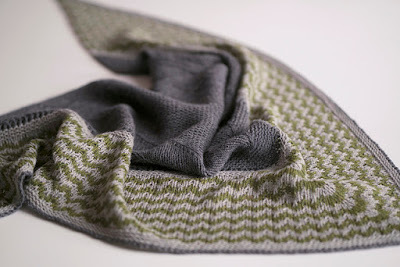 Raveler G-Knits made this gorgeous version of Justyna Lorkowska's Big Jim Shawl using Natural Borwn, Natural Cream, and one mill-dyed color (Moss Green) of 100% Yak Sport Weight. We love how the natural colors play with the dyed yarn to add a little "pop" to this project! 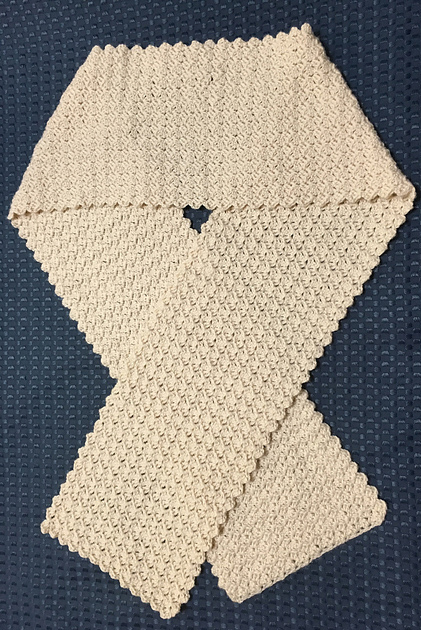 Raveler Kathlynn knit this simple shawlette using two skeins of Lhasa Wilderness in Natural Cream. 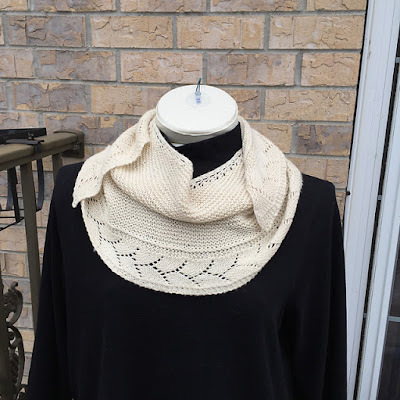 Designer Meghan Jones has created two gorgeous shawls using our yarns; Ivory Spires (shown above) uses two skeins of Tibetan Dream in Natural Cream and Abbey Glade (shown below) is knit with 1 skein of Tibetan Dream in Natural Brown. Both patterns use a variety of techniques (cables, lace, beads, and twisted stitches) to create these stunning projects for adventurous knitters. What's on your needles or hook right now? We'd love to see your yak-tacular projects over in our Ravelry group. You can also share them with us on Instagram using the #bijoubasinranch hashtag! 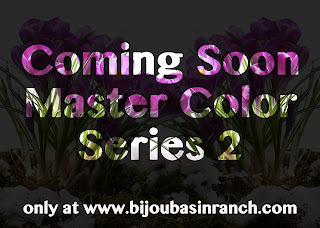 Coming Soon: Master Color Series 2! 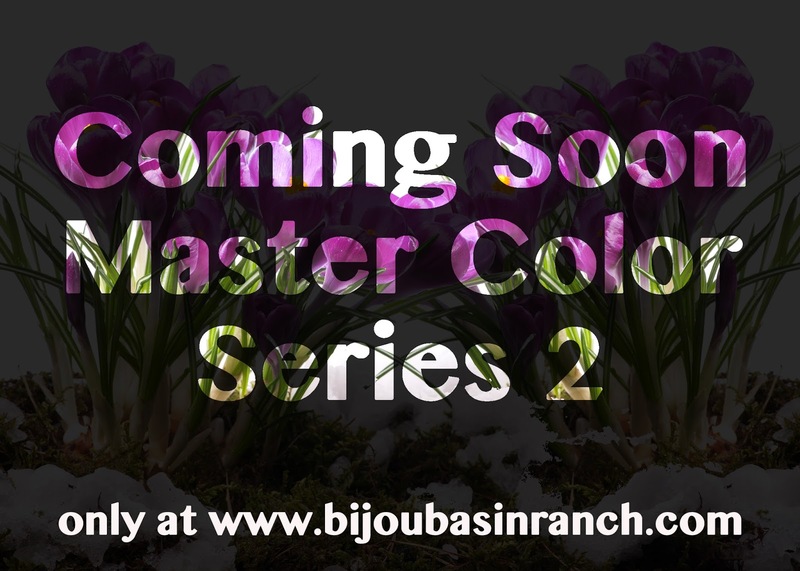 Our next installment in the Master Color Series will be arriving in our online store soon! Master Color Series 1, "Winter is Coming," was such a hit that we've teamed up again with the folks at MJ Yarns to bring you another great palette of hand-dyed colors on our luxurious 100% Mongolian Cashmere Xanadu yarn base. See if you can guess the colors & theme based on this teaser image!